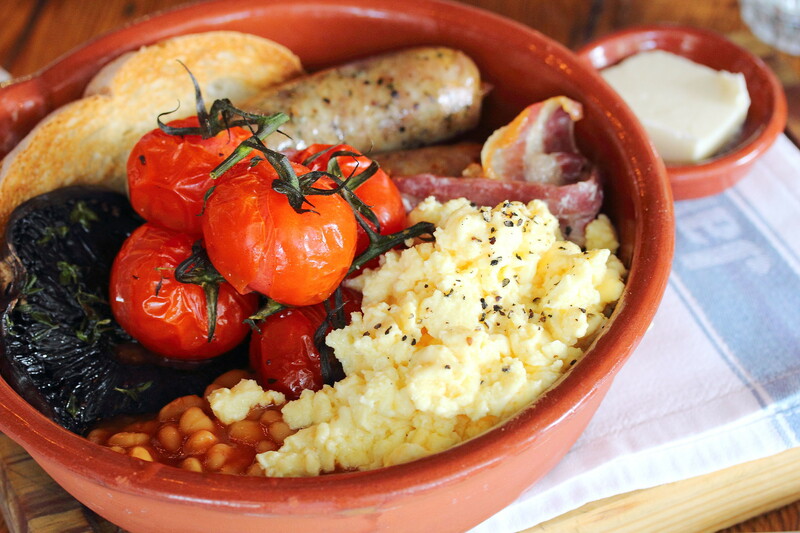 Jamie's Italian at VivoCity has started servicing breakfast on weekends from 930am to 1130am. I thought this is a fantastic idea. I can have my breakfast in the morning until 11am before proceeding to do my shopping at Vivocity when the shops' open. I an the type that needs a cup of coffee to kick start my date. Hence the first thing I ordered is a cup of Latte ($5.50). 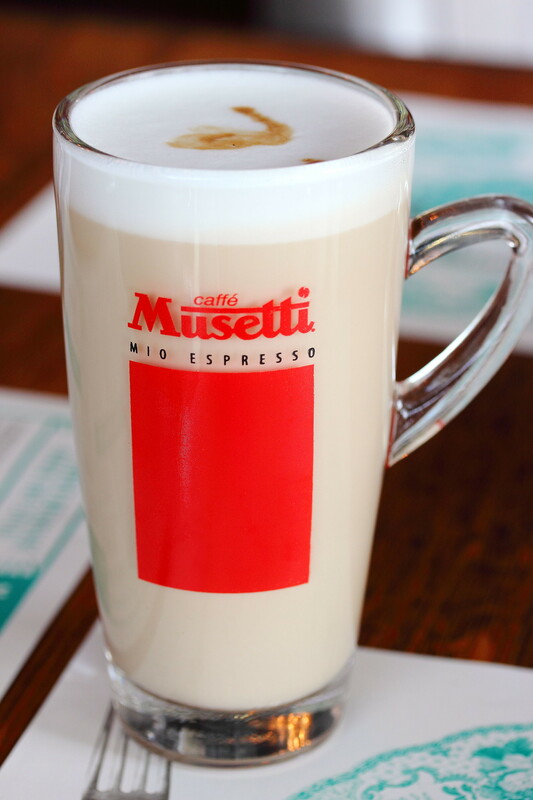 The coffee used at Jamie's Italian is from Musetti, a family run Italian company since 1934 that roasts their beans in a strict artisanal way over three generations. The body of the coffee is not too strong and acidic. It was bitter sweet coffee was smooth and easy to drink. The huge servicing of The Works ($19.50) comes with Toulouse sausage, pork & honey sausage, outdoor reared streaky bacon, choice of freedom range egg, vine roasted cherry tomatoes, homemade baked beans, garlic & thyme oven roasted portobello mushroom, fresh spinach & toast. This is like the Italian style of big breakfast, you basically have everything in a plate. The creaminess smooth scrambled eggs and the sweet vine roasted cherry tomatoes were the highlights in the plate. There is also a vegetarian version on the menu. The breakfast menu offers three choices of breakfast butties. 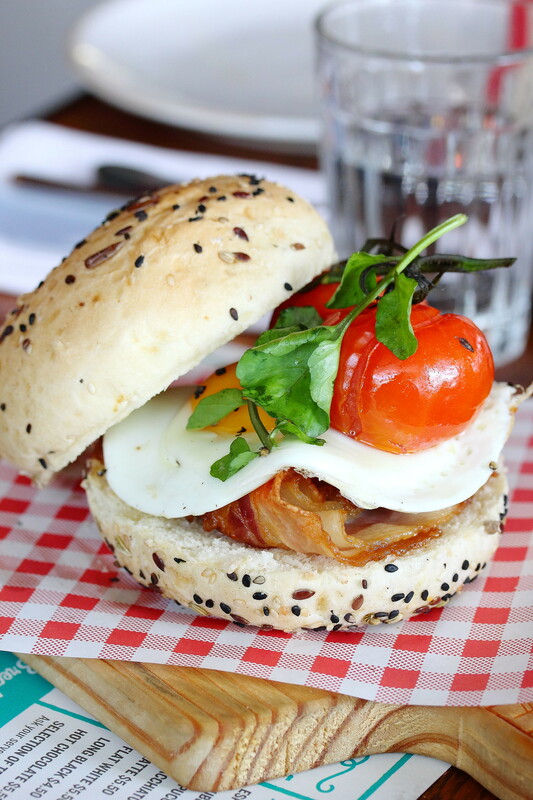 I decided on the Bacon and Egg Buttie ($9.50) that comes with streaky bacon, roasted tomato and a fried egg. A typical English breakfast but it was not something memorable with the price tag. 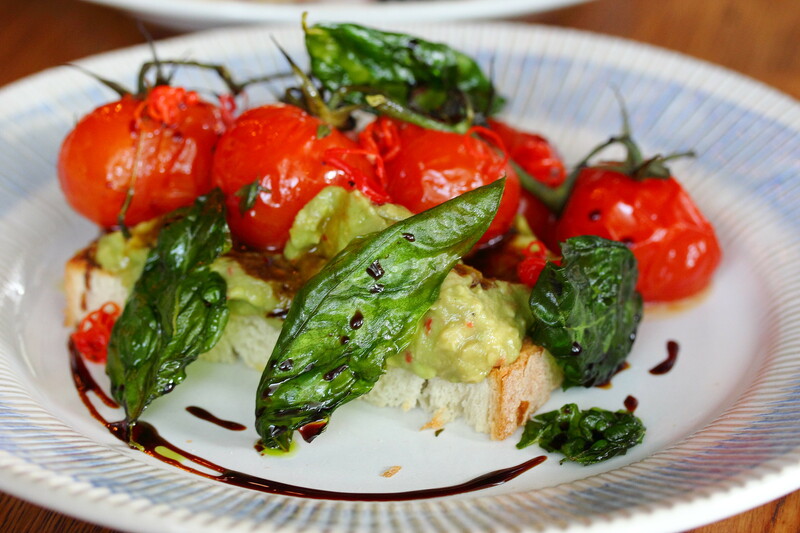 Catering for the vegetarian is another dish on the menu, the Smashed Spicy Avocade ($12.50) with toasted ciabatta, vine roasted cherry tomatoes and Worcestershire sauce.I like the whole concept with the flavours working in harmony with one another. However I felt the avocado was a bit too runny to my liking. Adopting from Jamie's original receipt was the American Style Berry Pancakes ($14.90) which comes with thick, fluffy pancake stack. The pancakes are Jamie's daughter's favourites which he makes for them regularly. 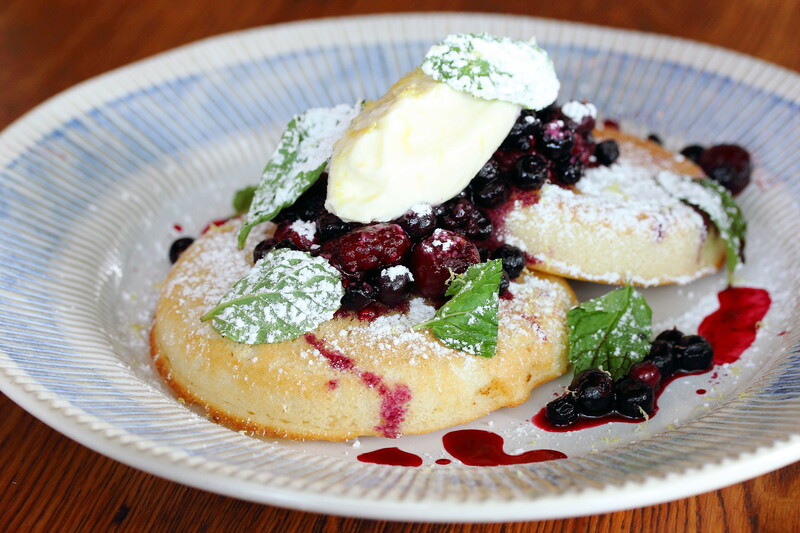 Topped with maple syrup, mixed berries and orange mascarpone, this is one of my favourites in the new breakfast menu that I have tried. 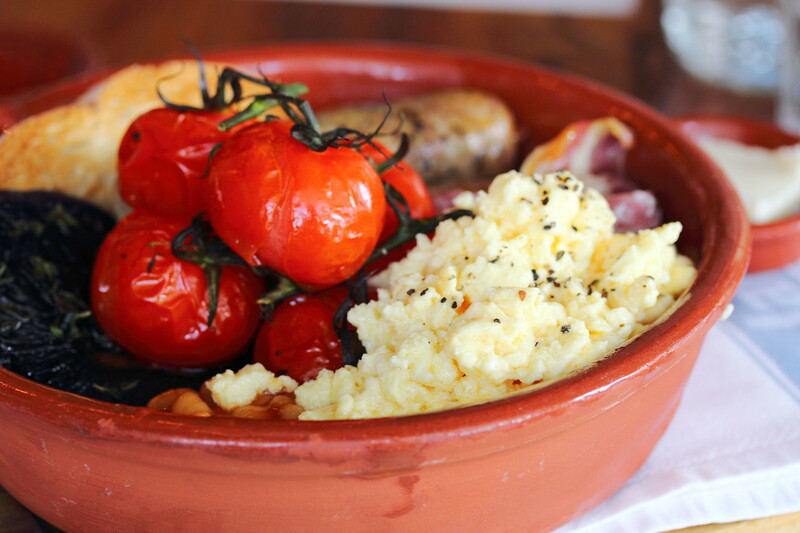 The new breakfast menu at Jamie's Italian is ideal for a leisurely meal with the family or over a weekend paper, or grab a cup of coffee and some freshly baked bread before a full day of shopping. I would recommend trying The Works and pancakes.